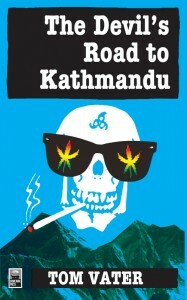 My first novel, The Devil’s Road to Kathmandu, published by Crime Wave Press, is soon to be published as Kathmandu, Camino al infierno by Spanish publisher Editorial Xplora. To get the book rolling in Spain, the publisher has produced a fantastic book trailer. Ladies and gentlemen, watch Kathmandu, Camino al infierno here!! !